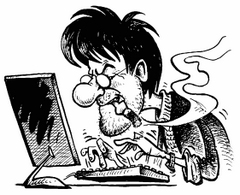 A blue screen usually means a lot of work for administrators. When things get really bad, there’s no other choice but to configure a new system setup. And this is where O&O BlueCon comes in. O&O BlueCon is at an administrator’s side during the course of a daily routine as well as whenever disaster strikes. Based on Windows PE, it offers a wide range of programs for, among other things, repairing systems, searching and correcting errors, restoring lost data, resetting passwords, and the list goes on. 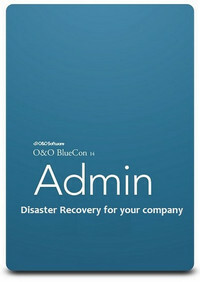 O&O BlueCon is an administrator’s IT first aid kit for day to day use. A system crash! A nightmare for any Administrator of course, but for others just a challenge. Whereas one tries a lot of fancy tricks at breakneck speed, the other simply starts O&O BlueCon 14 directly from a boot medium and immediately has access to various tools that repair systems, find and solve errors, recover data, reset passwords and much more. Disaster recovery doesn’t get any easier. All O&O BlueCon programs and features can be run directly from the O&O BlueCon bootable medium without any installation – even if Windows is defective or no longer able to start. Thanks to an intuitive user interface, the integrated tools are extremely easy to use and require little time for learning how to use them. The O&O BlueCon bootable medium has also been optimized for Windows 10 and Server 2016. In a Microsoft network environment, clients can now be started over a network – no DVD or USB stick is required. Using the PXE boot medium created within O&O BlueCon, customers can now boot a computer over their networks from a remote machine, rather than having to use a local medium such as a hard disk, CD, DVD or USB stick. The medium created in O&O BlueCon can be held on a central server and then activated for certain computers when needed, without this boot medium having to be physically available. The PXE server required to do this (Windows Deployment Service) is available in a Microsoft Domain or can be installed. One very special feature is the O&O DriverLoader which automatically recognizes all system components and loads the necessary drivers. If the driver for a particular hardware is missing, the user can quickly embed it into the running system so that he can then have complete access to this device. The new O&O DiskRecovery finds and reconstructs files that were accidentally deleted or lost as a result of software error. O&O DiskRecovery searches for lost data through every sector of the hard disk, memory card, or USB stick. O&O PartitionManager will let you create, delete, extend and shrink partitions. It will also allow you to change the size of a system partition and rearrange files to save space on them. The O&O BlueCon UserManager gives you access to all registered users. You can, for example, change forgotten passwords in just a few clicks so that a user can quickly login with a new password. The user-friendly O&O SafeErase Wizard helps you delete sensitive data and entire drives so securely, it prevents the data from ever being recovered again. Not even with specialized software. Thanks to the five different deletion methods, data can be overwritten up to 35 times. Copy your data from defective systems onto external disks. You can access data on your system without having to overwrite it – this gives you the security of knowing that no data will be lost. 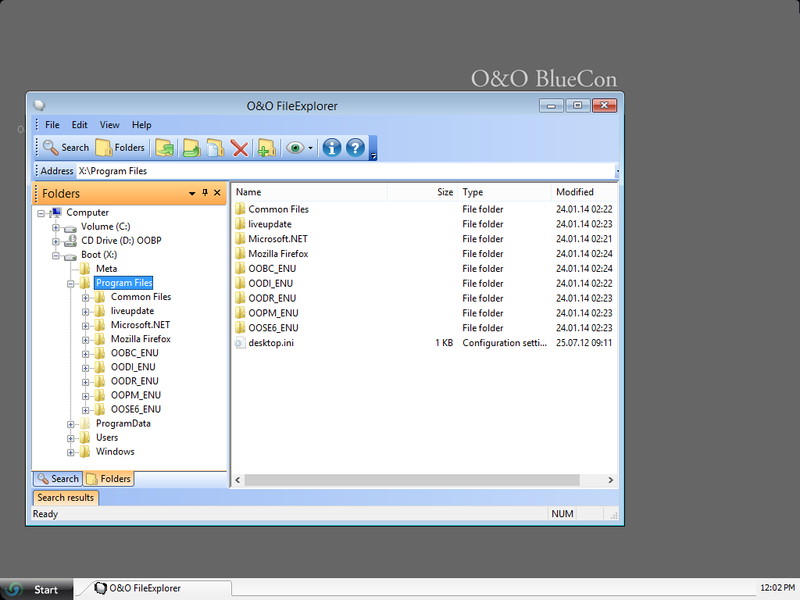 By using the O&O BlueCon FileExplorer, you’ll be able to access all files and folders.